This fall, an Emergency Medical Technician (EMT) certification course will be offered by the Medford Technical Institute at the Medford Vocational Technical High School, (MVTHS). According to the United States Bureau of Labor Statistics, healthcare occupations and industries are expected to have the fastest employment growth and to add the most jobs through 2024, with estimates up to 24%. This led to the expansion of the already successful Medford Technical Institute’s adult evening education program. The Emergency Medical Technician (EMT) certification course is being offered in conjunction with EMTS Inc., a Massachusetts accredited training institution, on Monday and Wednesday nights from 6-10 pm. Classes start on Wednesday, September 7th and run through Saturday, February 4th. One Saturday session is scheduled each month from 9 am to 3 pm. 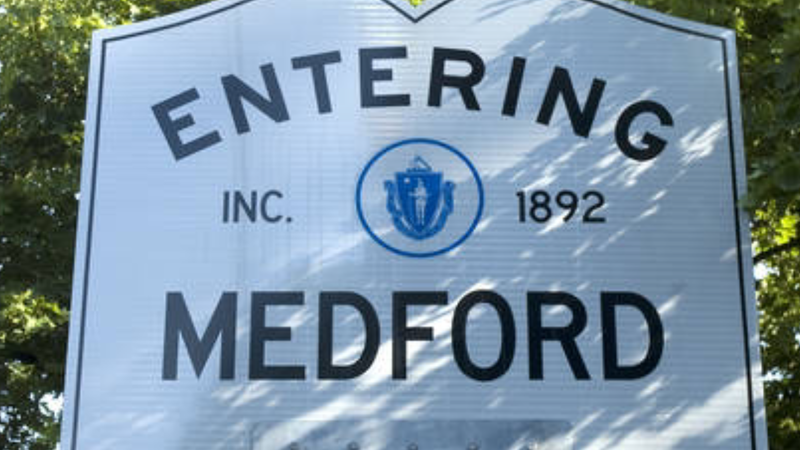 The Medford training program, which encompasses 176 hours, conforms to and exceeds the EMT national standard curriculum of the US Department of Transportation, as adopted by the Commonwealth of Massachusetts. It is a prerequisite for taking the National Registry of Emergency Medical Technicians’ (NREMT) certification examination. Passage of the required NREMT exam earns the student both a national and a Massachusetts EMT certification and license. Jack Paster, BS, M.Ed., a Commonwealth of Massachusetts, Department of Public Health, Office of Emergency Medical Services Instructor Coordinator with nearly 50 years of EMS experience, is the program instructor. “I bring a unique blend of real-world street EMS patient care experience, many years of experience as the EMS coordinator and medical care provider at the Boston Garden and decades of direct teaching experience to my students. I know how students learn and I know how to break-down difficult material into manageable chunks. I’ve dedicated my adult life to helping others and I’m excited about this new Medford opportunity,” Paster said. Topics to be covered in the Medford EMT program include: EMS systems, medical, legal and ethical issues, communications and documentation, as well as, principles of pharmacology, patient assessment, airway management, shock, Basic Life Support resuscitation, trauma, orthopedic injuries, toxicology and psychiatric emergencies, and much, much, more! In addition, proper lifting and moving techniques for patients, as well as, vehicle extrication, terrorism response and disaster management, will be included. As part of the EMT training, students will also receive a BLS Provider Card. This card is provided through the American Heart Association upon successful completion of the required CPR course which is included with the program. Tuition, which includes the required textbook: Emergency Care and Transportation of the Sick and Injured from the American Academy of Orthopedic Surgeons and two-year CPR Certification is $1,200. Space is limited and seats will be filled on a first-come-first-served basis. For information, please call 781-393-2207. ***Walk-in registration for the EMT course, as well as, Artistic Welding, Automotive, Cosmetology, Electrical, EMR, ServSafe Alcohol & Sanitation Certifications, Nail Technician, OSHA Safety Course, Metal Fabrication and Web Development, will be held Tuesday/August 23rd and Thursday/August 25th from 5:00 pm – 7:00 pm at the school, 489 Winthrop Street, Medford. On-line registration is coming soon at http://www.medfordtecinstitute.net.